So, the good news is that we have written an outline for a second, longer, campaign to the game, which we plan to release as a free update around the end of this year. We'll also be adding a campaign editor that will allow players to create and share their own campaigns to the game (and share them via Steam Workshop). I will be posting more announcements about this as it gets closer to completion! Last, but certainly not least, we have added trading cards to the game! Play the game to collect them, swap them around with your friends to get all sorts of wacky combinations! 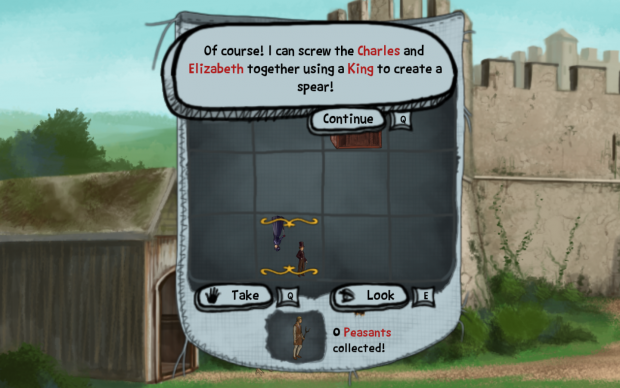 Charles, Elizabeth and a King! What are the chances? 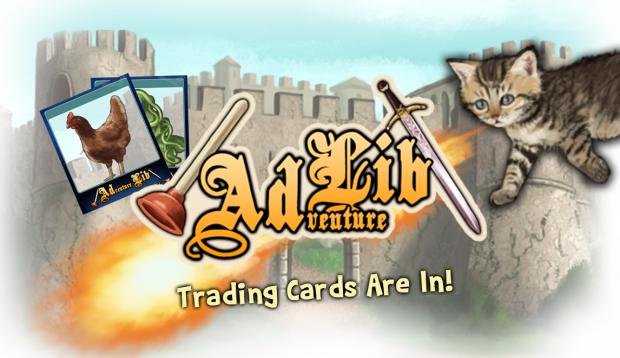 ADventureLib has been greenlit and a Steam release date has been set - prepare for craziness! 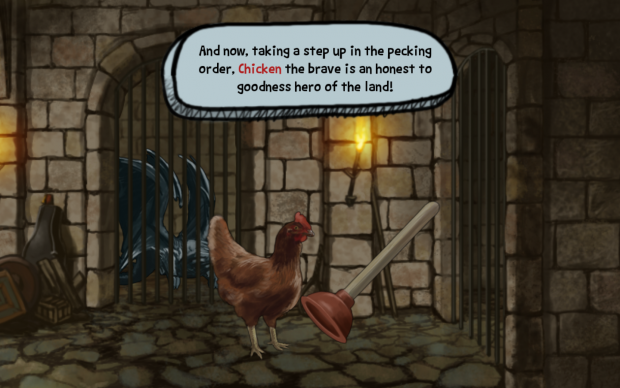 Early Trailer, World 1 Done, and IndieCade! The first 1/3 of the game is complete, we have made our first official trailer, and we successfully submitted Havencall to IndieCade!